The Eden Project is certainly a unique and tranquil venue for gigs. 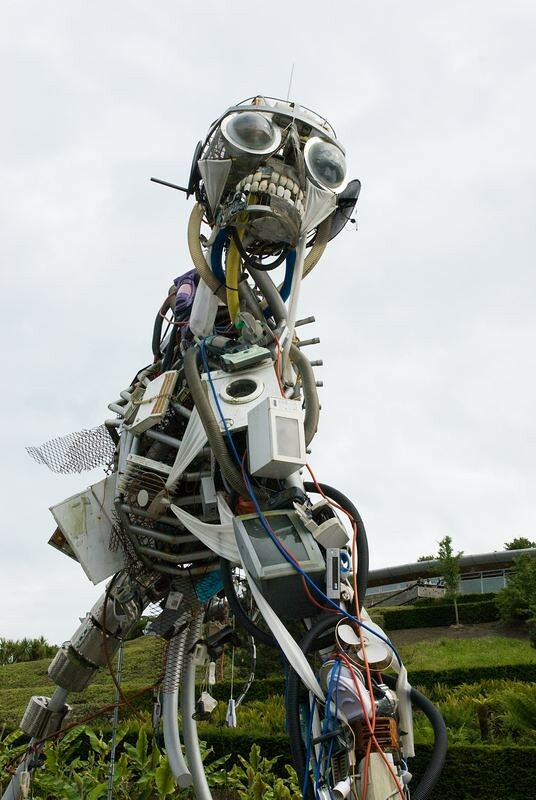 It is a large global garden, with iconic architecture built in a disused clay mine. 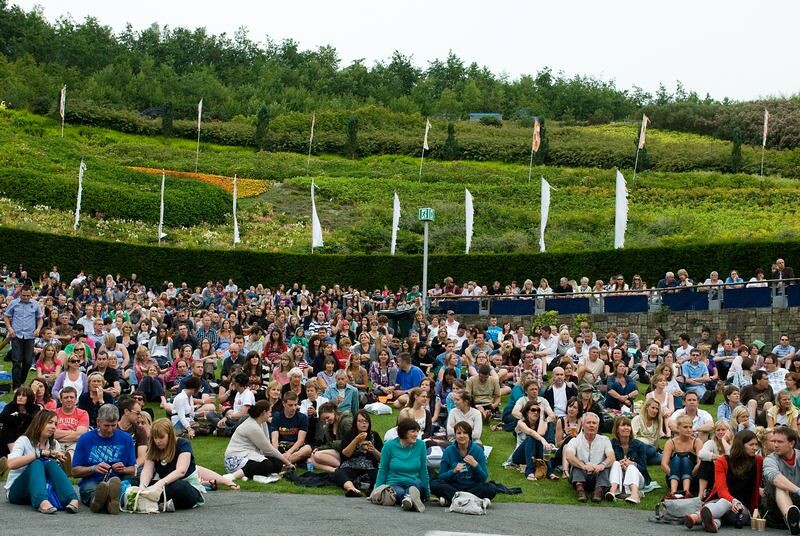 This is the tenth year of the Eden Sessions, a series of one-day live music festivals, which continue to attract a great line up. 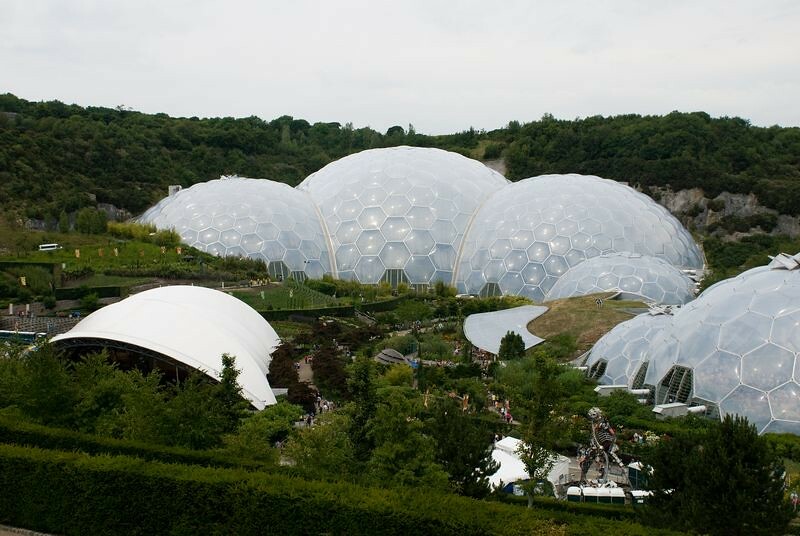 The Eden Project is certainly a unique and tranquil venue for gigs. It is a large global garden, with iconic architecture built in a disused clay mine. This is the tenth year of the Eden Sessions, a series of one-day live music festivals, which continue to attract a great line up. Tonight’s headliner, on the last night of this year’s sessions, is Brandon Flowers. Other headliners this year have been Primal Scream, Pendulum, The Flaming Lips and Fleet Foxes. 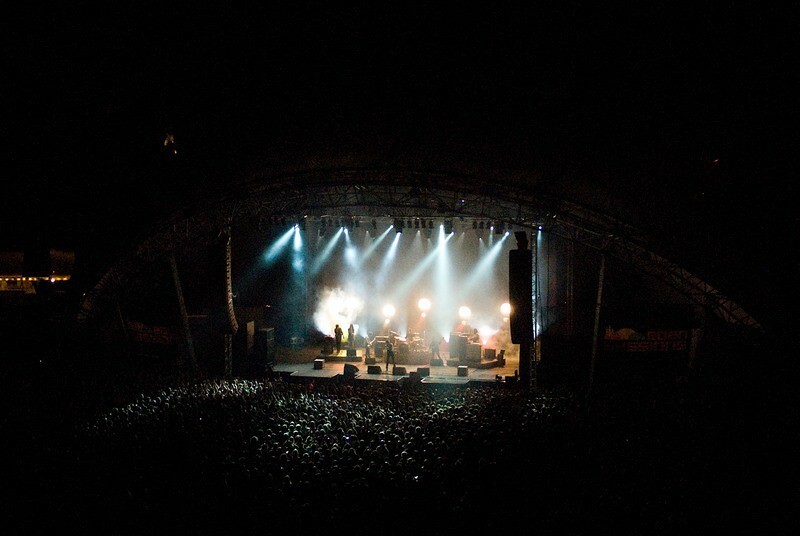 A main stage is used for the night time gig and during the day, bands play on two smaller stages, so that the whole day has a relaxed summer festival vibe. We arrived early so that we could explore the Eden Project and its three biomes and also catch some of the early bands. 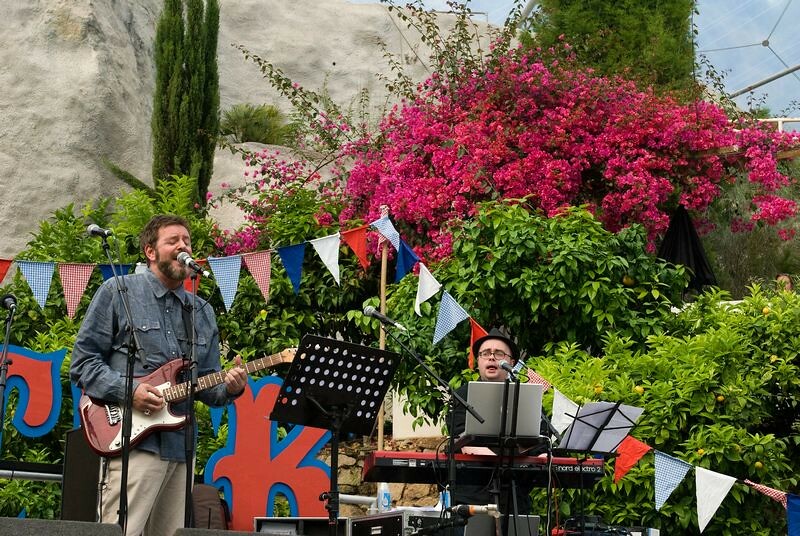 Cardiff-born singer-songwriter Green Gartside (ex frontman of Scritti Politti) performed mid- afternoon on the Biotik Stage in the Eden Project’s Mediterranean Biome. It was a wonderful tranquil setting for a very relaxed gig and we just managed to catch the last two songs, including the big hit Wood Beez (Pray like Aretha Franklin). Then, as part of the “unique celebration of Earthly Life”, Robin Hitchcock led Gartside, Martin Carthy, Kathryn Williams & Mike Heron in a quirky performance of a folk song. 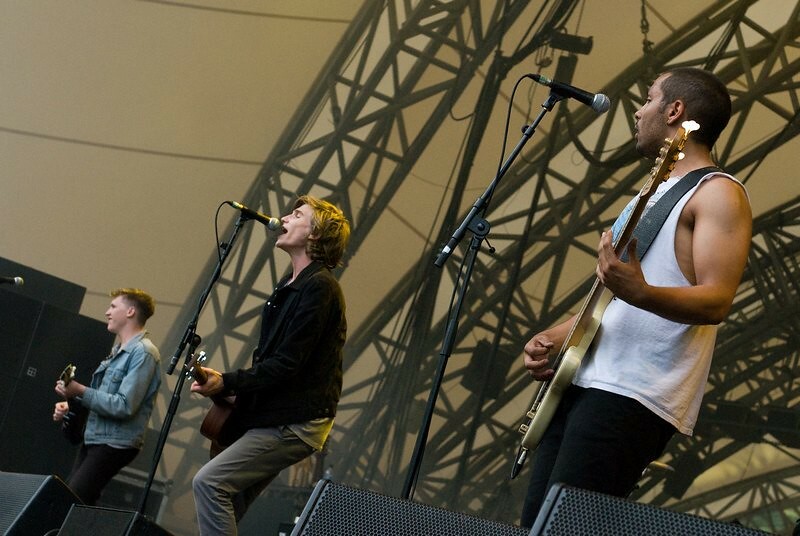 Crowns, a four-piece band from North Cornwall, opened up the main stage, with a lively and accomplished set. The band performed a mix of punked-up traditional Cornish folk songs and original material, in front a backdrop of the black and white Cornish flag of St Piran. The strong folk- punk tunes are reminiscent of the Pogues and Crowns really got the local crowd going, with versions of 'Hell or Highwater' and 'She Swears Like a Sailor'. The highlight of the set was the final song, the punked-up 'Little Eyes', which got lots of people dancing. 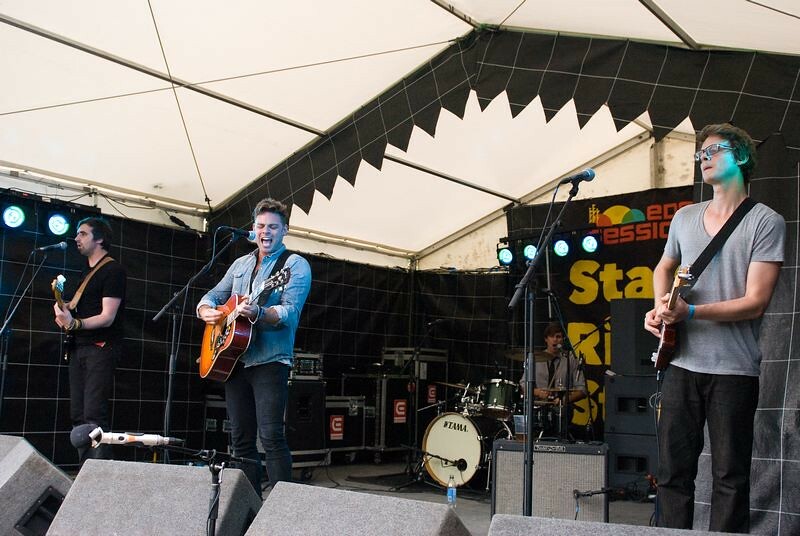 Singer-songwriter Ben Montague took to Stage Right (the second stage), for two sets and we saw the first. A good crowd had made their way over for this mellow set. Ben has a clear and soulful voice, strong songs and a great band backing him up. Watching his performance, it is obvious why he has been getting airplay on Radio 2. Highlights of the set for me were 'Stand on my shoulders' and 'Still young', the latter of which he had written with James Walsh from Starsailor. 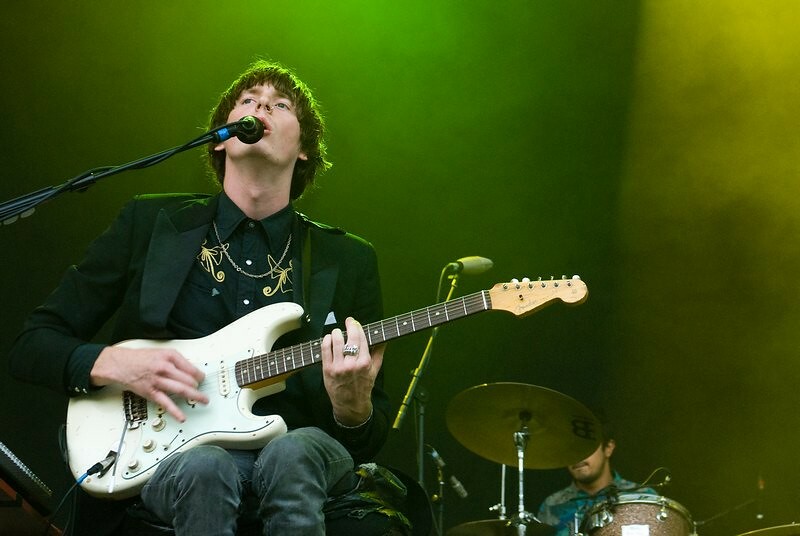 London indie band Mystery Jets were next on the main stage. They were a three-piece tonight, one down on their normal touring set-up, as the bass player was with his wife, who was having a baby. This meant they did a shorter set than was scheduled but the crowd still seemed to really enjoy it. The sound is very much 80s electro pop and the songs are well-crafted and melodic. They played tracks from their three albums, including favourites 'Serotonin' and 'Two doors down'. 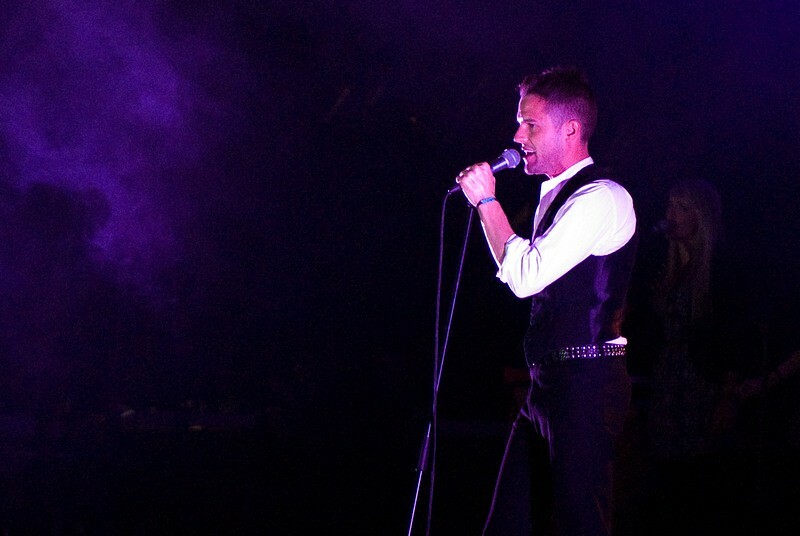 Brandon Flowers was the headline act and the one most people had come to see and he did not disappoint. He came on stage to rapturous applause, from a very enthusiastic crowd. Flowers opened the gig with 'On the floor', followed by 'Crossfire', both from his solo album 'Flamingo'. A great cover of Kim Carnes’ 'Bette Davis eyes' followed shortly after. 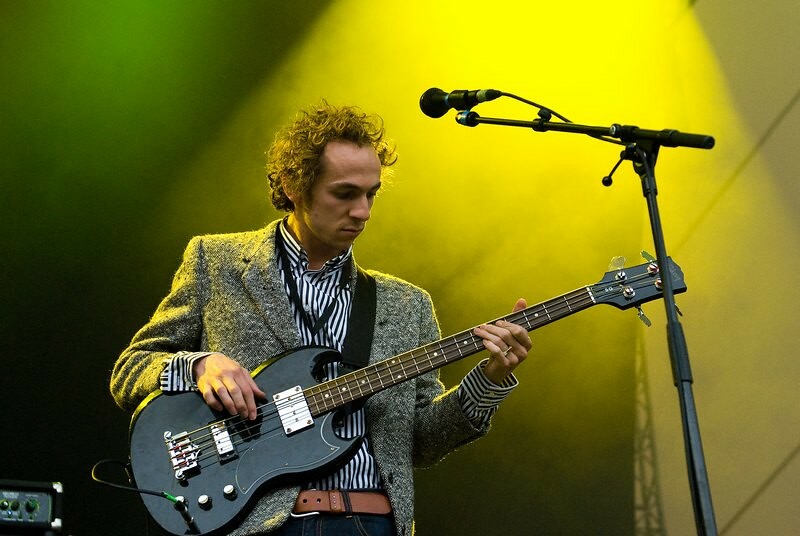 Flowers is an extremely charismatic performer and seems much more confident and natural on stage than he did in the early days of The Killers. His voice was strong throughout and the sound quality during the show was excellent, with the great natural acoustics of the venue really enhancing the performance. It was a relatively short set, at a little over an hour but everyone in the packed amphitheatre certainly seemed to enjoy it and most of the tracks from 'Flamingo' were included. 'Welcome to Fabulous Las Vegas' was particularly striking, as was 'Playing with fire', where the stage was dramatically bathed in red light. 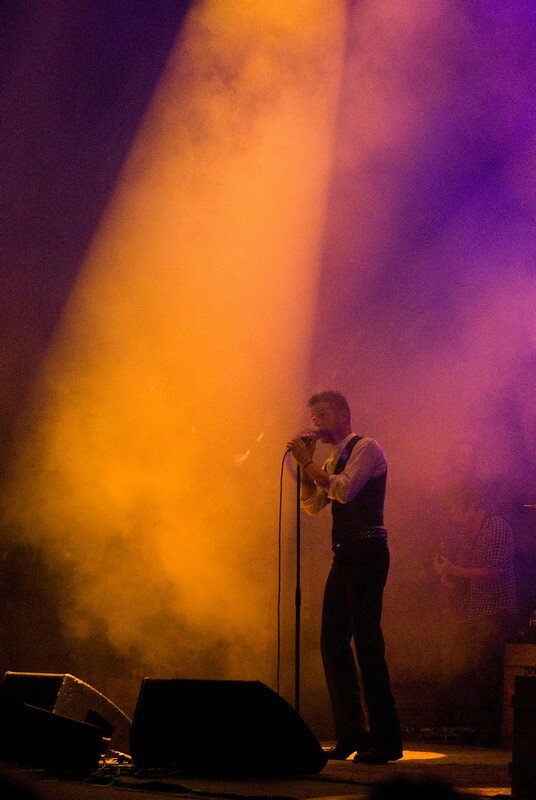 All Flowers’ solo material was well received and it is clear that the crowd love Brandon Flowers and that he is a very accomplished and talented performer. However, it was the few Killers’ tracks included in the set that seemed to get the most enthusiastic reception from the crowd. 'Read my mind' & 'Losing touch' mid-way through the show were greeted with much cheering and singing along. However, Flowers saved the best till last, with the final song of the encore, a mass-singalong of 'Mr Brightside', being the highlight of the show. It was a brilliant end of a fantastic day!